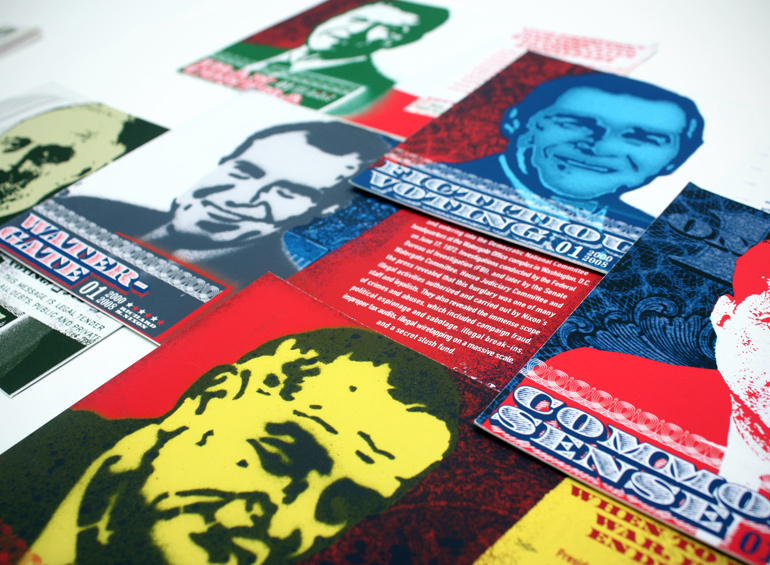 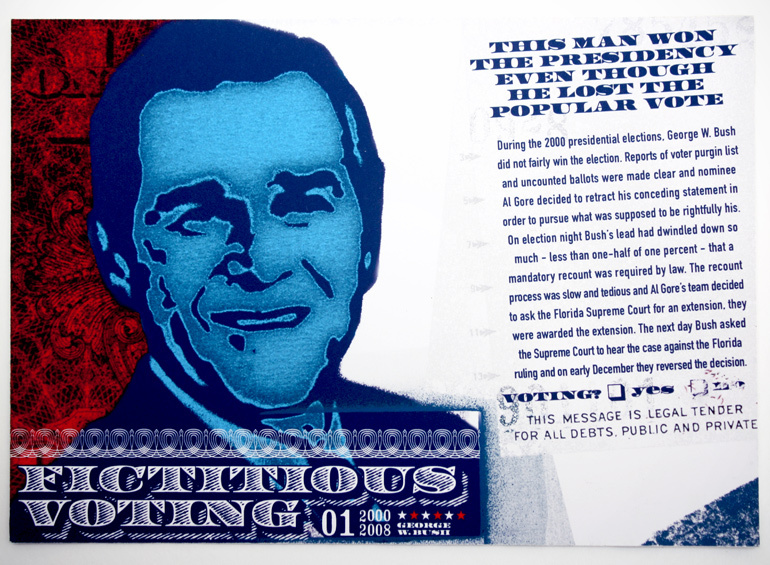 I designed these postcards right before the 2004 presidential elections and I redesigned them again before the last elections as an update. 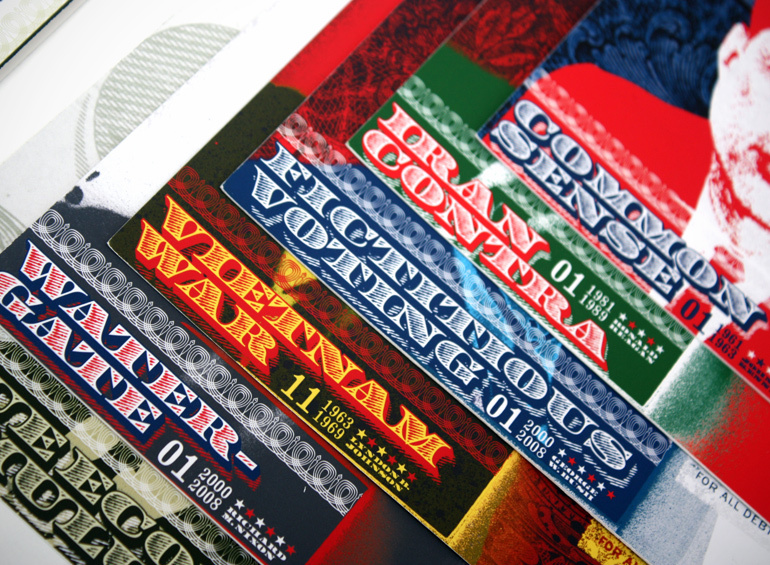 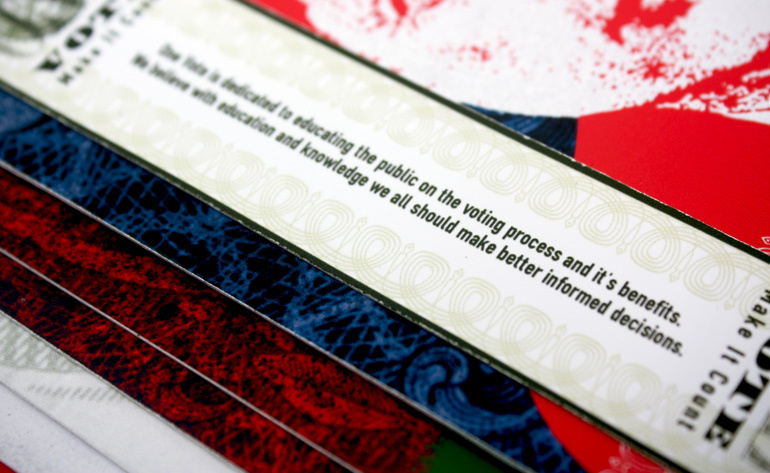 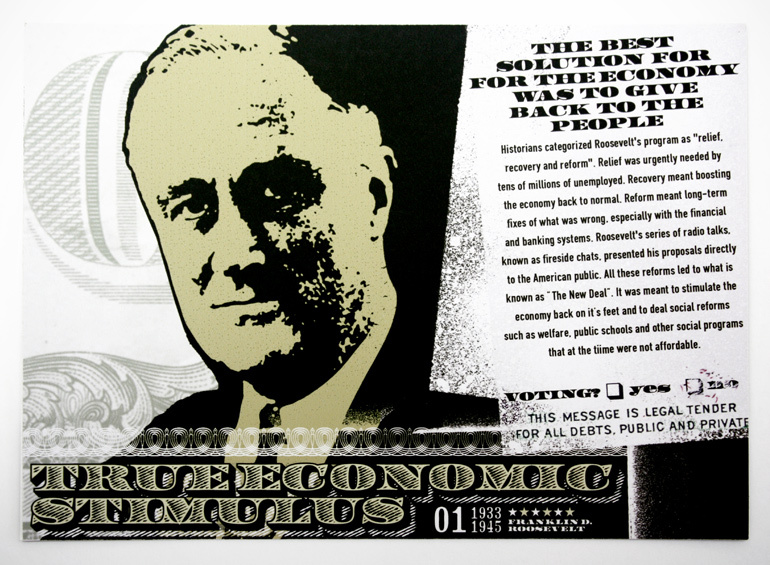 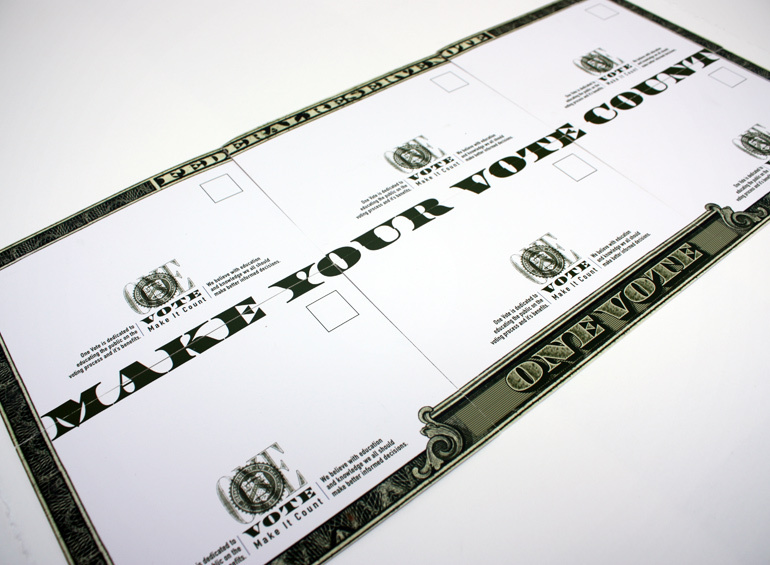 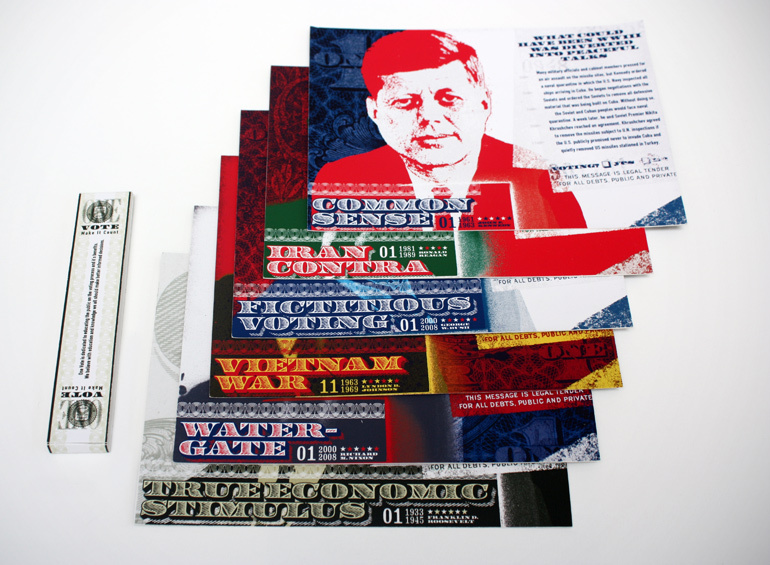 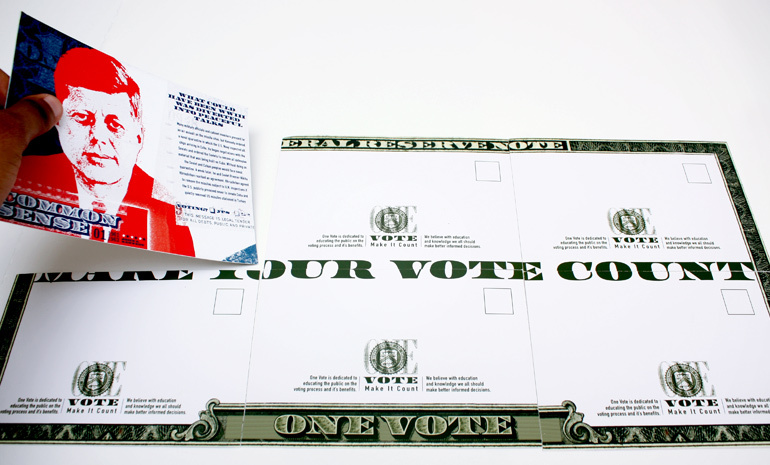 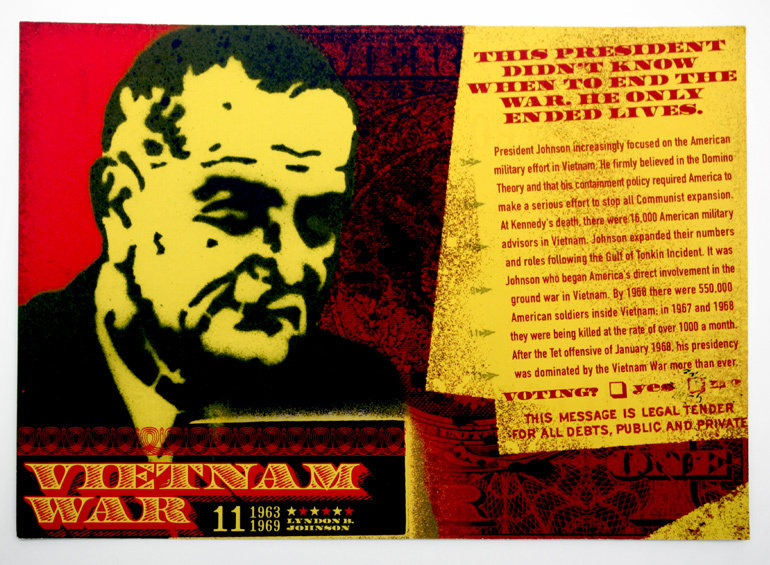 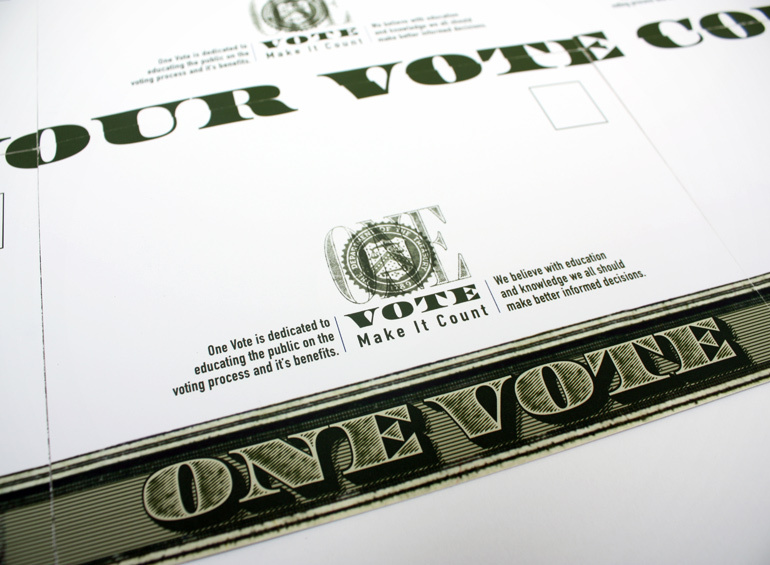 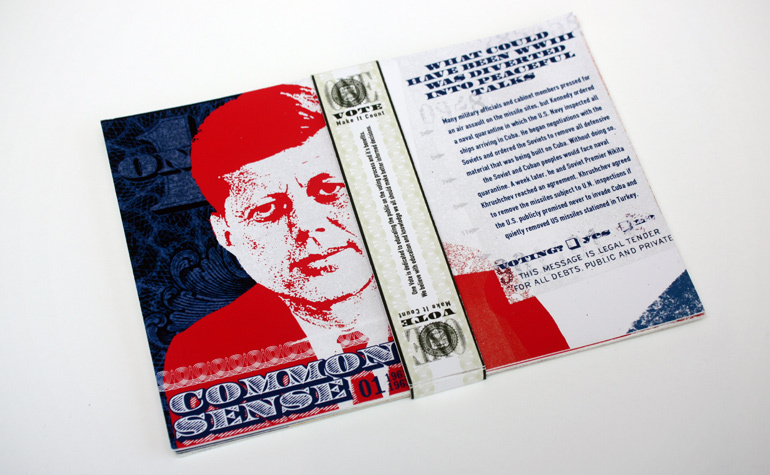 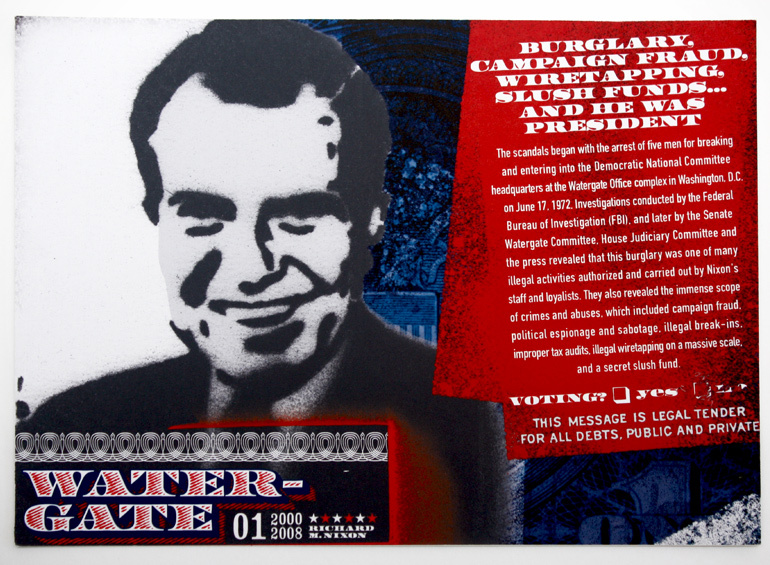 All the graphics used resemble money except for the stencil art which was hand done and then scanned in to the computer, I wanted the user to questions the value of money towards the value of voting and the importance it can make. 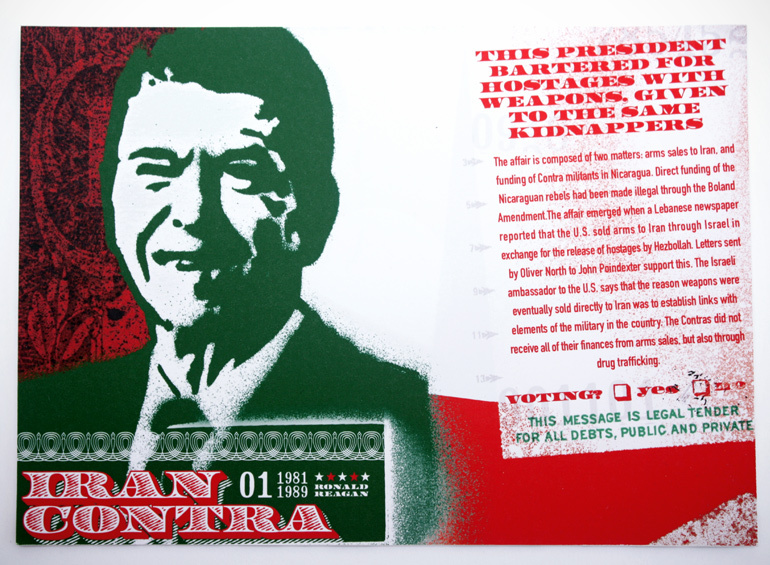 3 postcards spotlight something negative in an individual president while 3 others spotlight something positive. 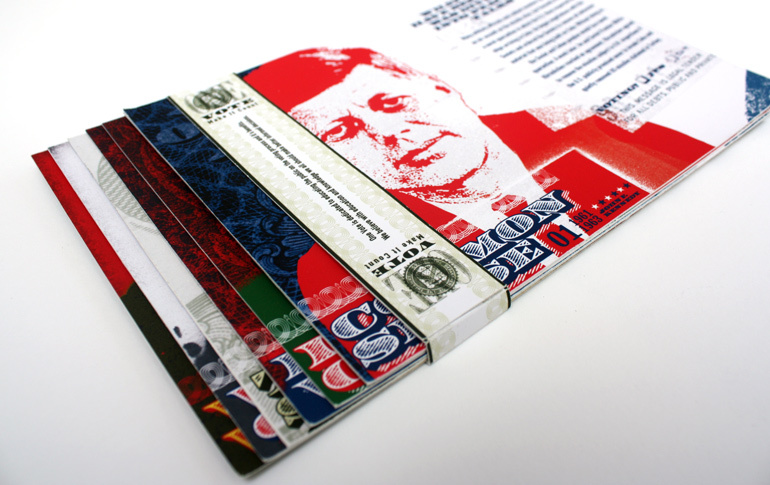 When put together, the back forms the border of the U.S. dollar while the belly-band resembles the belly-band used in banks to hold monetary notes of the same value together. 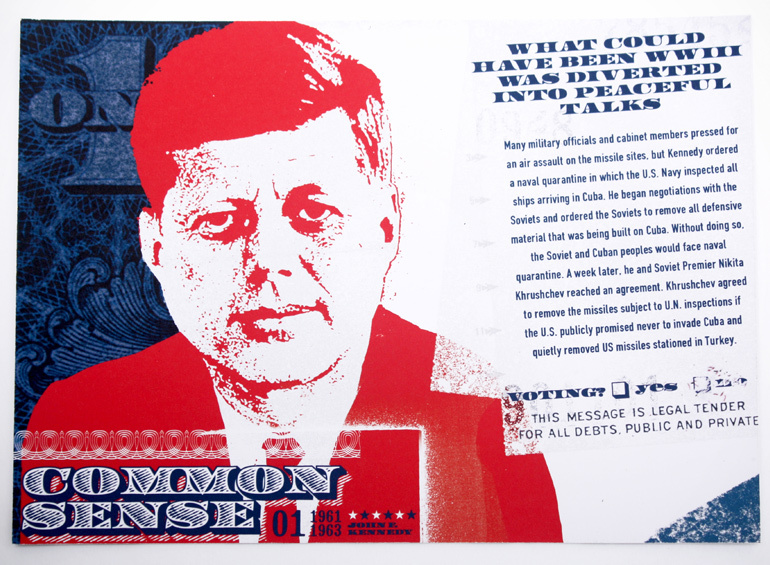 These of course are subject to personal opinion and the negative or positive of each one could have been done the other way around.